As the door opens, you see him standing there. He walks towards you with confidence; a confidence that is normally not seen in your presence. He knows so much and yet other than his name and title you know little to nothing about him. But you don’t care at this point, all you want is answers. You have heard rumors and you hope they are not true. Are they really plotting against you? If anyone knows, it is this man; he has people everywhere. As he hands you an envelope not saying a word, he turns on his heels and walks away. The Master of Spies has done it again! Separate the four Starter Cards and the three Scoring Cards from the deck. Add the eighteen action cards as well as the eighteen wild cards to the main deck and shuffle them together. Remove eleven cards from the deck. Shuffle the card named “The Stars Have Aligned” into this pile. Set this pile aside for now. Each player is dealt five cards from the remaining pile. Now separate the remaining cards into three even piles. Place the two other scoring cards (“The Time Approaches” and “The Omens Are Clear”) on the bottom of two of these piles. Place these on top of the pile that was set aside earlier (the one containing “The Stars Have Aligned”). Place the last pile, the one without any scoring cards, on top of these to form the draw deck. The Starter Cards are placed in a column in the following order: Kingdom of Palamire, Empire of Draken, The Free City-States, and The Dragon Lords (see example below). This order also serves as the tie-breaker for determining the next round’s Master. Each player picks out a set of five tokens of the same color (Purple, White, Orange, Yellow, or Blue). 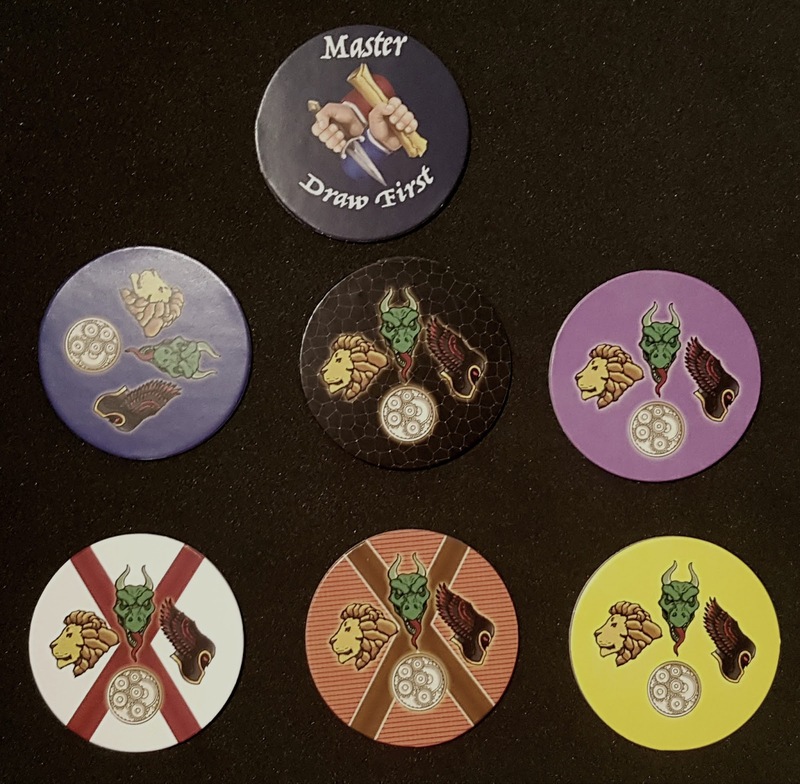 Each token has a different Faction symbol, except for the larger 5th with all the Faction symbols, which is used as a colored reminder token for that player. Determine who will go first in a manner of your choosing. That player is given the Master token. During each player’s turn, they will draw from the top of the draw pile until they have six cards in hand. Once a card is drawn, the player then plays a card from their hand. If it is a numbered location card, he or she places it into play after a card with a lower number and the opposite colored border. In each row, Dark Brown and Light Gold card borders must alternate. If the player plays an action card instead of a numbered location card, then the player simply follows the text as stated on the card. If a player feels that they have no cards in their hand that they want to play, then they may discard one and pass their turn. If a location card is played, the active player may put his or her corresponding spy token on that card or move it from a lower valued card to the new higher one, but does not have to. 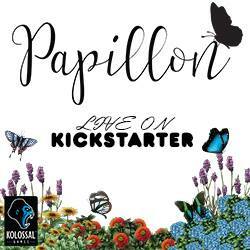 Play continues clockwise. Cards that are played do not need to be in exact sequential order, but the new card must be a higher number than the previous card. There are three scoring rounds in Master of Spies. These are triggered by the revealing of one of the Scoring cards that were placed into the deck. A player that draws a scoring card immediately reveals it to all players. He or she then draws another card and plays out their turn as normal. Then, when all players have finished the current round, the players count up the total of their spy tokens in play. Play then resumes as normal until the next scoring card is revealed. When “The Stars Have Aligned” scoring card is revealed, then the end game is triggered. The current round is finished as normal, and one more additional round is played with the cards currently in each players’ hand. Once this is done, players then add up the total of their spy tokens in play, and then tally this up with the previous scoring totals. Infiltrations: If the card being played is the same faction as the one they are replacing, any spy tokens currently on that location remain, and the players “share” that location. The value of the card is less than or equal to the one being replaced. The value of the card is greater than the preceding card. The border of the card is the same color as the card being replaced. If the Faction is different, any prior spy tokens are removed (assassinated) and sent back to their corresponding players starting pool. Wild Cards: Wild cards are special location cards that are played just like regular location cards. The difference with Wild Cards is that they can be played as multiple factions and some have multiple border colors. If you play a wild card with a multiple border color, then this card can be either a Gold or Brown bordered card, and is defined when played. If you play a Wild Card that has multiple faction symbols on it, then you can choose from those factions when placing a spy token into play. Only one faction can be chosen, even if the player has multiple tokens available. “Play On Turn” cards can only be played by the current player on his or her turn. “Response” cards are played in response to any other player playing a card. “Play Anytime” cards can be played at any time, whether it is your turn or not. When an action card is played, simply follow the instructions put forth by the card’s text. 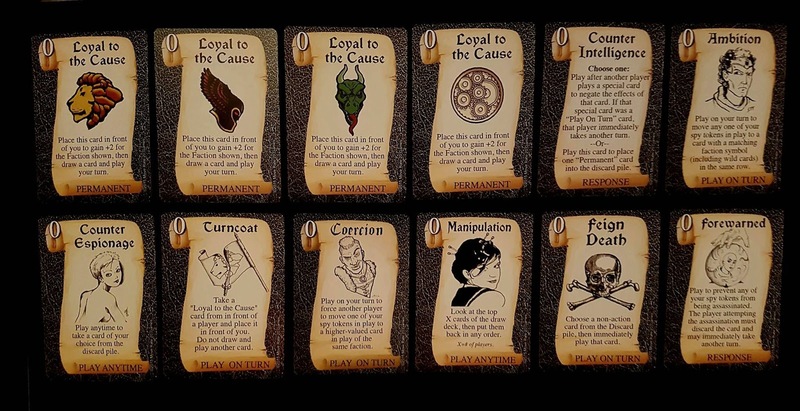 Permanent Cards: There are only four permanent cards in Master of Spies; these are the cards titled Loyal to the Cause. If an action card instructs you to interact with a Permanent Card, these are the only four cards that can be affected. 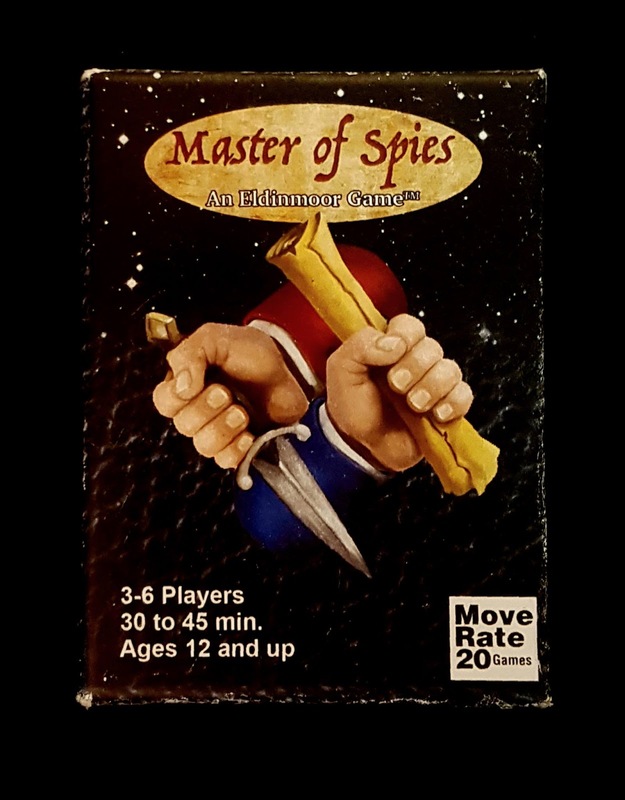 Masters of Spies is a fun little game, I know my gaming group was a little divided on this game. I would say three out of five really enjoyed it (I was one of these). Personally I really enjoyed this game; I liked the theme and really thought it was a clever take on the idea of spies. We actually had a lot of confusion when it came to the rules, which is actually quite a funny story. Jason was so excited for a spy game that we let him read the rules. Jason is dyslexic so when he was reading the rules excitedly we just through it was that kicking in. But when my school teacher friend took over we realized it wasn’t that. So we all had a look, suddenly one of my other friends just starts laughing. So it seemed the Demo copy’s rules I received have been stapled together wrong and two pages were in the wrong order. So a knife and a staple late and we were all good. I must say I like playing games with Jason, because not only is he one of my best mate, he also has dyslexia as previously mention. So it is always helpful when it comes to understanding the ease of learning said game. So this is where myself and my two friends who disliked the game differed on opinion, the art. I think the art is great, it is old school and feels like an old school game from twenty years ago. If you put it next to the original version of Netrunner or the Beta Magic the Gathering set, it would fit right in. I really liked that about this game, as when I think spies I personally think of 12th century Kings and Queens of old. So to make this game feel like a Ye Old Card Game I think was quite a clever touch. My friends on the other hand thought it looked dated and old and should have been more modern. 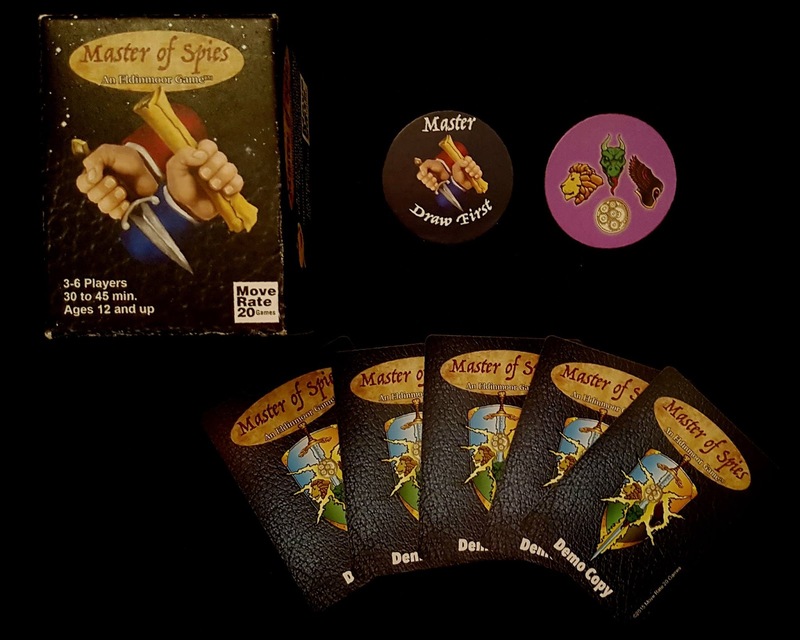 Master of Spies is a super fun little filler game, and in all honestly one I may have probably overlooked if I didn’t have the opportunity to review it. 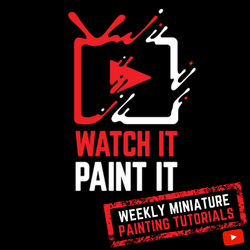 It may look a little understated but it makes up for that in the game play and I think this is one you should definitely have a look at as it is a surprisingly fun game! You can check out there Kickstarter at https://www.kickstarter.com/projects/moverate20games/master-of-spies-card-game which runs from March 28, 2017 to April 28, 2017.